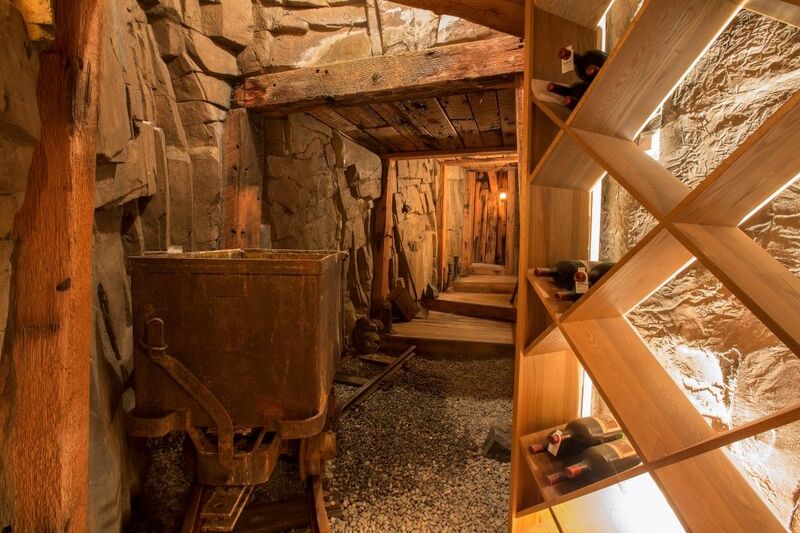 Wine is cultivated from grapes, not dug from the depths of the Earth — but no matter, a wine mine is now a thing you didn’t know you needed in your dream home. 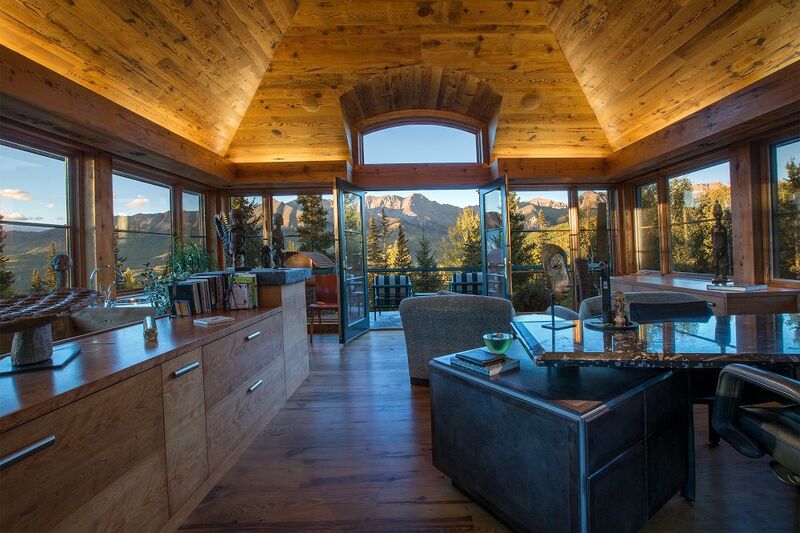 Media mogul Oprah Winfrey has purchased a $14 million mansion in Telluride, Colorado outfitted with a 1,600 bottle wine cellar that resembles a mine shaft from the state’s prospecting days. Measuring 56 feet long, the wine-lined tunnel features reclaimed wood from an old railroad trestle in Utah, faux stone walls, sound effects, a water mist system and flickering lights. Adding to the ridiculousness of it all is a vintage minecart that rests on a set of tracks. We can only imagine the fun Oprah and Gayle will have with that thing. The five bedroom, six and a half bathroom home is really more of a construction trailer for Ms. Winfrey, who will be living there while her new mansion is built on a nearby 60 acre property. But she’s hardly roughing it — the 8,706 square foot abode includes a chef’s kitchen, gym, sauna and games room with a wet bar and billiards table. 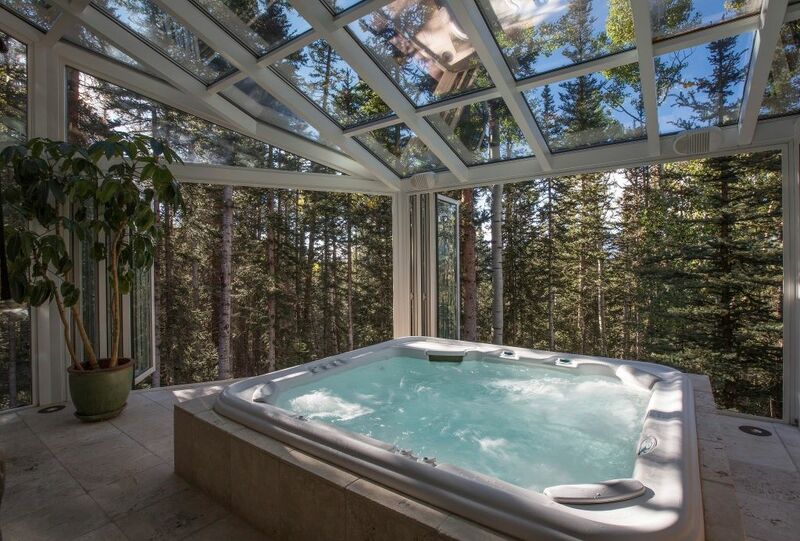 There’s also a solarium with a hot tub and retractable window walls. 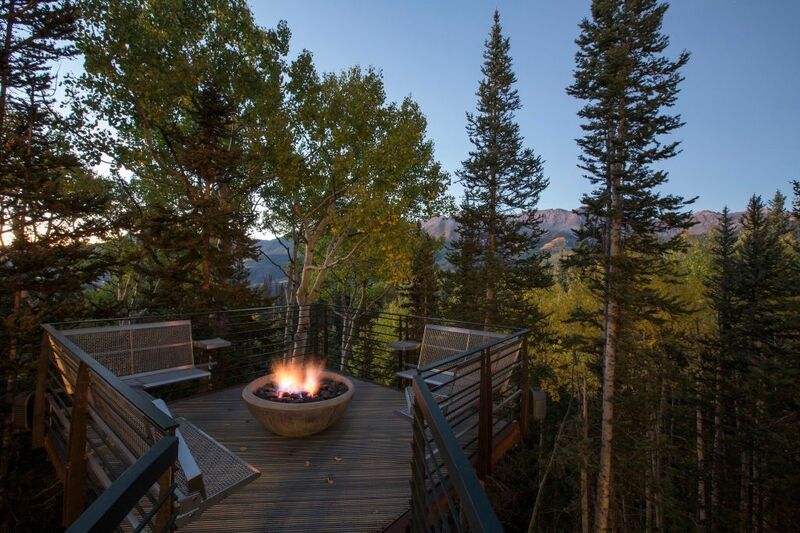 The home’s six decks capitalize on its breathtaking views of the San Sophia Mountain Range. Treetop trekking is another key selling point, as the home features a 35-foot-high walkway with a fire pit and built-in benches. No ski chalet is complete without its own funicular, right? 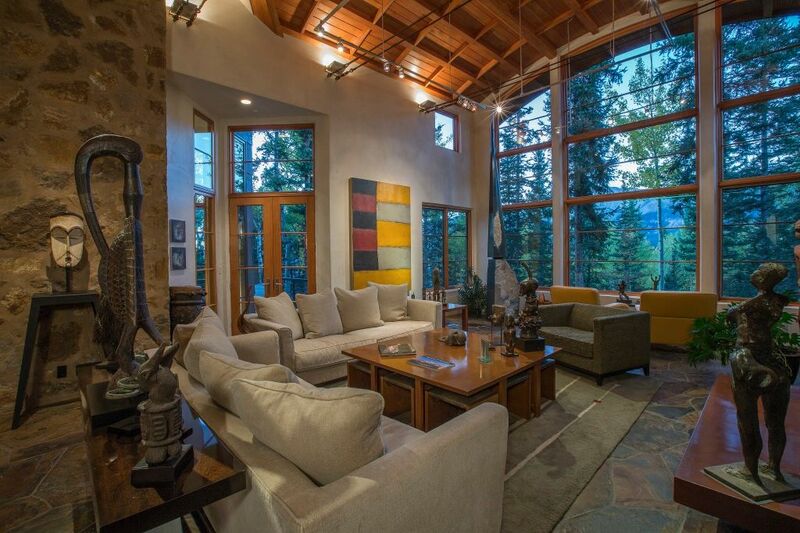 Oprah’s will whisk up to four people and their equipment to the head of the Sundance ski trail. 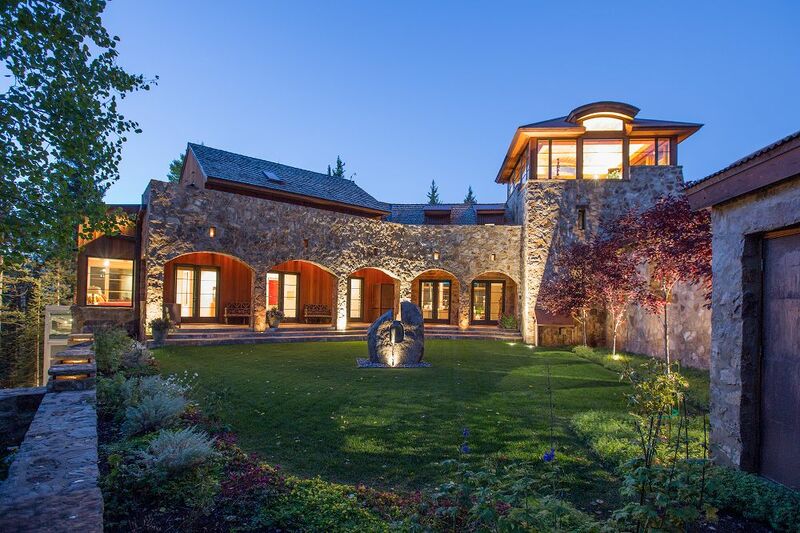 While the Telluride home is indeed impressive, it pales in comparison to her estate in Montecito, California. Known as “The Promised Land,” the 23,000 square foot behemoth sits on 42 acres and is outfitted with six bedrooms, 14 bathrooms, ten fireplaces and sprawling gardens with over 600 rose bushes.